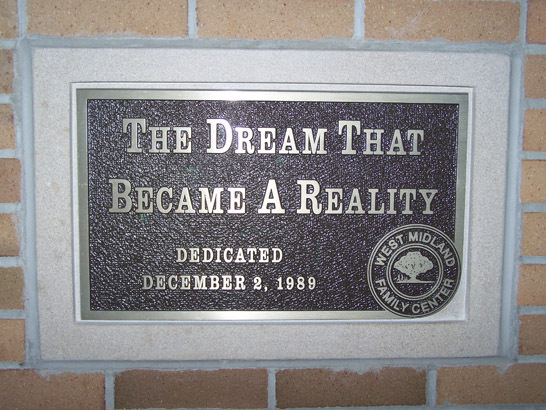 The Mission of the West Midland Family Center is to enhance the quality of life for each generation by providing growth and achievement opportunities within a caring environment. Helping each community member TODAY to reach their full potential TOMORROW. We ensure that our community members are in a safe, happy, healthy environment; whether at home, at WMFC, at school or in the community. We ensure access to WMFC, its programs, and its benefits, by removing barriers to participation. We offer programs and events which include as many different family members as possible with emphasis on facilitating the development of active, positive support in the lives of family members. We provide parents with education, skills and practice opportunities, which they use to become positive effective role models in the lives of their children. We create an atmosphere whereby all individuals and families feel welcome and know that we understand and respect their individual differences. We seek to develop a variety of appropriate program offerings that meet the diverse needs of our community members’ individual interests and learning styles to stimulate participation and growth. We meet each individual/family at whatever place they are in their lives with the expectation that they have a desire to progress towards greater independence and to help others. We encourage individuals to explore new interests, to experiment and learn that it is "ok" to fail as well as to experience achievements both large and small. We are capable mentors and role models thereby encouraging people in our community to become role models and mentors of others. We understand the value of education; and include education and goal setting in all that we do. We assure that the needs of our community are met both through our programs and through collaboration with partners. We know that what is accomplished is more important than who does it. We use current research based practices whenever available and continually seek to improve the quality of our programs. We practice fiscal responsibility throughout the organization to ensure our ability to secure financing and long-term viability. We believe that people are our strength. We attract, develop and retain the most talented staff, board and volunteers to work as a team in accomplishing the WMFC Vision. We integrate Fun into all our programs and activities, whenever we can. With quality as the goal we use the WMFC Vision Elements as the lens through which we look for direction to live by our guiding principles every day. The West Midland Family Center's building has a long and storied history. WMFC was originally the Greendale Elementary School which was originally built in 1931. In 1964, when Shepherd schools could no longer accept the children, the school was closed, and its students were absorbed into the Bullock Creek Public Schools. The building was left cold and vacant for 10 years and the community was left without a common place to gather for social, recreational or sports events. 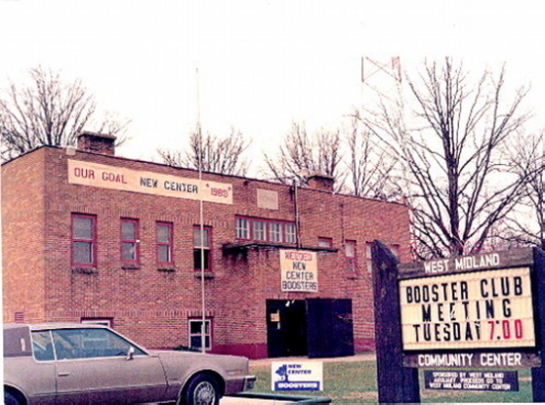 In 1974, forward-thinking community members came together to address the lack of a convening place for the residents of western Midland County. At that time, the Big Brothers organization was interested in locating a site for area teens to use. As a result, the building and its surrounding three acres were sold by the Bullock Creek School District to Midland County. Soon afterward, Phyllis Breedlove, who would eventually become the founder and the first Director of WMFC, suggested that the school be renovated for use by all the community members, not just teens. From concept, to dream come true, the building was transformed from schoolhouse to community center. By November 1974, with Phyllis Breedlove at the helm, the West Midland County Community Center (WMCCC) was offering night school classes, The Greendale Happy Diners had set up shop, youth and adult activities were in motion and the WMCCC was thriving. The schoolhouse turned community center served the western Midland County community well between the years of 1974 and 1989 but began experiencing "growing pains" as more and more people made the Center their "home" away from home. With dreams of a larger, newer building in hand, WMCCC obtained the financial support of five major foundations to build a new facility which covered 20,500 square feet. The $1.8 million dollar donation from the foundations also purchased a 27-acre park area which sat adjacent to the building and included a picnic area, baseball diamonds, a soccer field, playground and an outdoor basketball court. As years went by, utilization of the Center continued to grow, and dozens of new programs and services were added. New programs included a licensed childcare program, family support programs, and a number of after school programs for youth and teens. In 2000, the Center underwent another miraculous transformation. What was once a dream, became a reality, when the Centers most recent expansion project costing $2.8 million was completed, nearly doubling the physical size of the original Center. The new expansion included several new classrooms, a second gymnasium, a computer lab, renovated office space and an outdoor swimming pool. The additional space allowed WMFC to augment its well-established programs and offer even more new programs. Today's facility, dedicated in 1989, and rededicated in 2001, stands as a remarkable tribute to the perseverance of many dedicated individuals. These volunteers and benefactors alike, gave of their time, talent, and treasure to make a dream become a reality...many of them continue in their devotion to the Center to this very day. The West Midland Family Center is a non-profit organization serving west Midland County. Funding for programming, operations, and building maintenance comes from many sources including the United Way of Midland County, government contracts, special grants, partner agencies, and generous individuals and foundations who have helped establish WMFC's endowment funds. Goods and services donated by contributors and volunteers is estimated to be in the hundreds of thousands of dollars annually. This annual outpouring from the community is an amazing commitment which helps to insure that WMFC will make the largest impact possible in this area of the state.